Dymon Asia Private Equity (“DAPE”) has invested in a group of companies run by the Kongsuphamanon Family, which include Greenday Global Co., Ltd. and AS World Trading Co., Ltd. (collectively called “Greenday”), via direct investment in Greenday Group Co., Ltd. Greenday is a leading fruit and vegetable snack company headquartered in Samutprakarn,Thailand. With this capital injection, DAPE is now the single largest shareholder in Greenday Group Co., Ltd., with the founding family retaining a majority stake. The capital injection from DAPE will largely go towards constructing a new factory to cater for the fast growing demand for Greenday’s products. Greenday has an operating track record of almost 30 years, starting out as a manufacturer and distributor of traditional snack products to small oriental enterprises in export markets. Today, Greenday has evolved and grown to sell its own branded healthy fruit and vegetable snacks domestically and internationally. Greenday’s products are sold to more than 25 countries under the Greenday and Glendee brands. Greenday’s products, through continuous research and development, are made from the process of vacuum freeze-drying or vacuum frying. Unlike dehydration, in both these processes, the fruits and vegetables are kept in their natural state, with no food preservatives, artificial sugar/sweetener, acid, or artificial food colouring added. The products are gluten-free and retain their original fruit or vegetable taste. Greenday has also recently opened its first flagship retail store at Show DC, a new 1.8 million square feet shopping mall in Bangkok. In addition to its own brand, Greenday also provides outsourced production services for selected overseas clients in the USA and Europe. 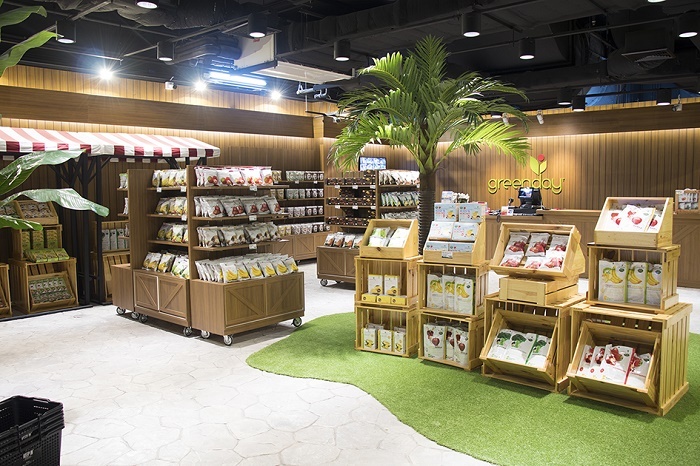 “Greenday presently has over 30 fruits-variety products for on the market 50% locally and overseas, with its main base of consumers from Hong Kong, Singapore, Korea, Saudi Arabia, and within Europe. Our best selling items are okra chips, Broccoli chips, crispy strawberry, and Coconut chips. 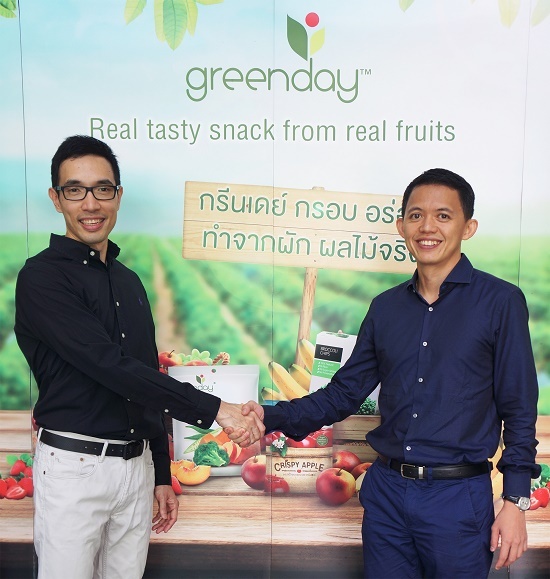 In 2018, Greenday aims to produce its fullest capacity with both factories with floor-to-ceiling stock of 1,800 tons of vacuum-packed fruits and targets an overall revenue of 1 billion THB, an increase in 30% of 2017’s sale revenue. For anyone interested to taste Greenday products, we are available in Tops Supermarkets, The Mall, Villa, SE-ED Book Center, B2S, Big C, Show DC, 7-11, and Family Mart locations,” stated Mr. Chairat Kongsuphamanon. Greenday is a leading fruit and vegetable snack manufacturer headquartered in Samutprakarn, Thailand. The Group has an operating track record of almost 30 years, starting out as a manufacturer and distributor of traditional snack products to small Oriental enterprises in export markets. 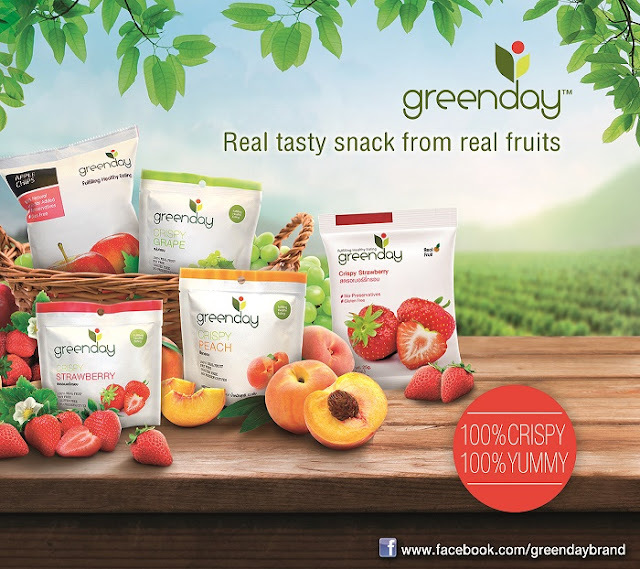 Today, Greenday has evolved to selling its own brand of healthy fruit and vegetable snacks domestically and internationally across more than 25 countries worldwide. Dymon Asia Private Equity (“DAPE”) is focused on making private equity investments in Southeast Asia. The first fund, Dymon Asia Private Equity (S.E. 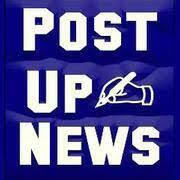 Asia) Fund was launched in October 2012, and achieved a final close of SGD 300 million in commitments. DAPE invests in companies in the lower mid-market space, or Small and Medium Enterprises (SME), in Southeast Asia. Investments are tailored to the needs of the companies with a strong focus on meeting long-term objectives.